KAL LAVELLE - WE LOVE SUNDAYS popular acoustic night hosted by Kal Lavelle in London. I compiled a FREE EP (with the artists permission) to publicise their performances at my acoustic night 'WE LOVE SPRING 2015'. Line Up - ANTONIO LULIC (Ed Sheeran support act in both UK & USA) + DAWSON (UK Loop Station Champion) + STEPHANIE FRASER (EP released on Island Records)! DOWNLOAD NOW from SoundCloud or BandCamp! I'm loving this quirky tune from Jens Lekman. I heard it on a TV show, Shazam'd it, then bought it on Amazon. I really like that it's different. It's not your 'normal' song per say, and that's what I like about it. He's doing something different, and that's so refreshing! I just discovered I AM STRIKES, I really, really like the two tracks that have been released so far. Hopefully this means that there will be more songs coming soon. Check it out. Dark, emotive, real. Love! BRILLIANT NEW VIDEO & SINGLE from ANNA PANCALDI! The pre-order of Anna Pancaldi's debut EP is at Number 6 on the iTunes UK Singer Songwriter chart! You can pre-order her new EP and get the single 'Out Ahead' straight away! 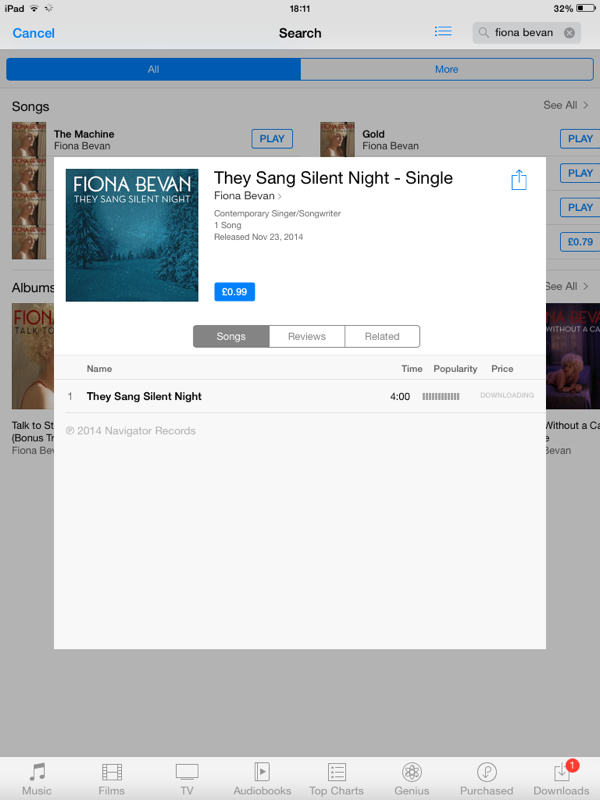 NEW Amazing CHRISTMAS SINGLE from Fiona Bevan! I've downloaded Fiona Bevan's new Christmas single and it's so beautiful and emotive. Sykes music is full of hooks, melody and emotion. Think indie / electro / pop. "Hooked up to a constant vinyl feed from an early age, Jamie learned to feel music before he even considered playing it. With a voice that lights up a room like a match in a firework factory, his influences have given him a knack for creating sonically inventive, lyrically sophisticated music that dances delicately between alternative indie pop and vintage soul." Leddra Chapman, is a British singer-songwriter from Brentwood in Essex. Her debut single ‘Story’, a track championed by Sir Terry Wogan on his Radio 2 Breakfast Show, was play listed by BBC Radio 2. This lead to Leddra being invited to perform as main support to Tom Jones at three Sold Out concerts in London, Essex & Manchester. Playing to 35,000 people over the three nights. She has performed live on ITV’s This Morning and is an ambassador for clothing company Quiksilver and The Body Shop. Her singles 'Summer Song' and 'Edie' have been play listed by BBC Radio 2 and her track 'All About You', from her second EP 'The Crowds and Cocktails', was BBC Radio 2's 'single of the week' on 4 March 2013. Leddra has toured Germany supporting Sarah Blasko and is signed to the record label Dramatico in Germany, Austria and Switzerland. ‘Pitch-perfect acoustic pop’ -The Independent. BESSIE ATWEL is a Singer Songwriter hailing from Sussex. She started writing when she was 14 years old having taught herself guitar. Bessie has released two EPs ('Chemicals' and 'Resolution') - both charting at no.20 in the Singer Songwriter chart on iTunes, and the title track of her debut EP 'Chemicals' has been played on BBC Introducing. 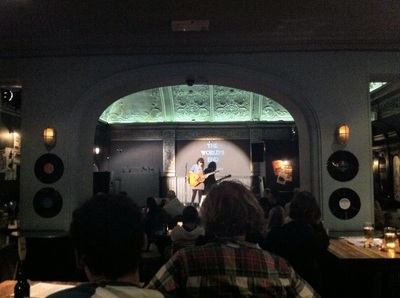 She has also supported acts such as Nina Nesbitt, Amber Run and Lewis Mokler. Due to continued rising success she has recently withdrawn from studying music at Falmouth Uni, to pursue a career as a s/s full time, and is currently writing, recording and gigging full time in London. Expect a forthcoming new single to be released this summer! Internationally acclaimed beatboxer and World Loopstation Champion SHLOMO creates an incredibly energetic live show like nothing you have seen before: jaw dropping, inspirational and totally absorbing. He's performed on Jools Holland, collaborated with Bjork and is a resident artist on the South Bank. Phenomenal talent. We are Very lucky to have him perform!! Anna is one of our favs at W.E LOVE SUNDAYS and she will be showcasing new music from her forthcoming new EP. I've heard a preview of some of the songs and they are spinetinglingly good!! 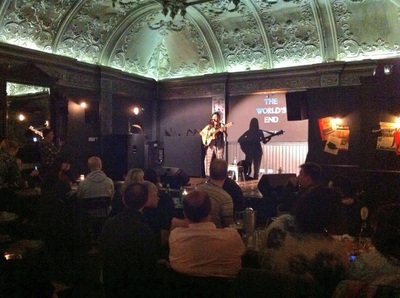 Expect dark, edgy, atmospheric songs of beauty from this South London based artist. Photos from the WLS night. Stephanie O'Brien (formerly of the acclaimed The Puppini Sisters)! With a voice to die for, and looks to kill. 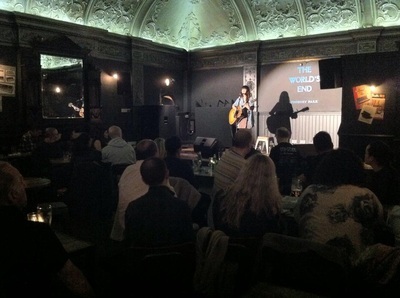 We are delighted to have Stephanie O'Brien performing at WLS with week!! Check out Stephanie performing 'Draw the Line', taken from her new EP 'Leave Your Heart at the Door', out now and available on iTunes. Filmed as part of the Chandler Presents live sessions series. 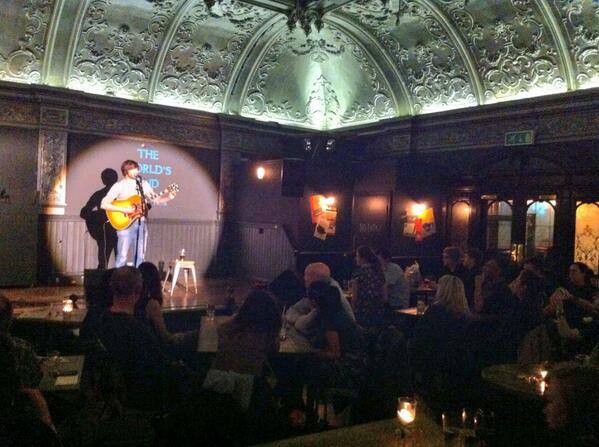 Siôn Russell Jones is a singer/songwriter from Cardiff. Since the release of his debut album ‘And Suddenly’, Siôn has had an exciting few years securing an endorsement deal with Stonebridge Guitars and a publishing deal with BDi Music. Sion’s last two singles 'So Long' and ‘Best of Me’ and his recent single 'Despite My Burdens' from his upcoming album ‘Lost No More’ have all received airplay on BBC Radio 1, BBC Radio 2, BBC 6 Music and BBC Radio Wales, his track 'So Long' is also regularly played on SRF 3 in Switzerland and RTL National Radio France. Siôn has supported Hanson, Newton Faulkner, Mara Carlyle, Jake Morley, Orla Gartland, Heather Nova, Thomas Leeb, Nerina Pallot and Moddi. Sion will be travelling to Japan in the summer to promote his album 'Lost No More' which is being licensed and released by This Time Records in Japan on May 26. Effi is an electronic artist, songwriter and multi instrumenalist from Graz in Austria. Effi is one of the most well known and successful artists within the Austrian indie-circuit. Effi’s debut album “Astronaut“ is an upbeat electronic and guitar led album, several tracks have been used in films and his music is regularly played on National radio in Europe. Effi has toured Europe extensively including shows in Germany, Russia, Latvia and Estonia. He has also performed in New Zealand with the french music band Man Du Monde. The beautiful voiced, multi-instrumentalist Emma-Jane Thommen makes a welcome return to the WLS stage! Expect Scottish charm, piano led loveliness, and stunning vocals! Pictures from the WLS night. Pictures from the WLS night!